All inclusive dining is incredibly delish! Most all inclusive resorts will offer a breakfast buffet in the morning as this seems to be the easiest way to serve a bunch of people. I must say I'm always pretty blown away by the extensive amount of food they offer! They offer scrambled eggs, and sometimes you can get eggs made to your liking, sometimes even an omelette station where they make an omelette to your liking in front of you. They will offer all kinds of fixings like spinach, feta cheese, corn, tomatoes, cheese, peppers, onions, ham, turkey and you name it...they probably have it. Not to mention they can have french toast, several sausage options, fresh meats such as thinley sliced proscuittio, pepperoni and other gourmet meats. Cheese and crackers of all sorts, fresh fruit, pastries, bagels and toast. Some really nice all inclusive hotels will offer a chocolate fondue fountain for you to dip fruit, breads and anything else you desire in. A cereal bar is available with a large selection of cereals, including fun toppings and several milk options as well. The drink selection at most all inclusive dining restaurants will include coffee, teas, several juices and sodas and of course mimosas, bloody mary's and any alcoholic choices you want. Some resorts will also have a breakfast restaurant that offers an a la carte breakfast, so you actually choose off of a menu what you would like to order. This is nice for a change and the menu will probably offer more unique items than on the buffet. Breakfast is of course the first meal of the day, but starting at breakfast, you will be able to usually have at least one restaurant that is open all day in case you need a snack. Lunch and dinner options will vary a little per hotel or resort. Most of the larger resorts seem to do meals in a similar fashion than smaller hotels. 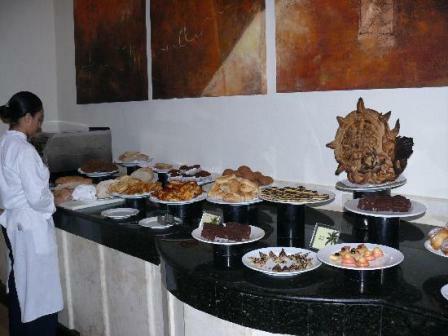 For lunch there are options of a lunch buffet or an a la carte restaurant. If your on the go much of the day, hanging at the beach catching some rays, or heading out to an excusion then you may want to head in to the lunch buffet so you can be quick. You will definitly want to try all the all inclusive dining restaurants that you have time for so plan accordingly. 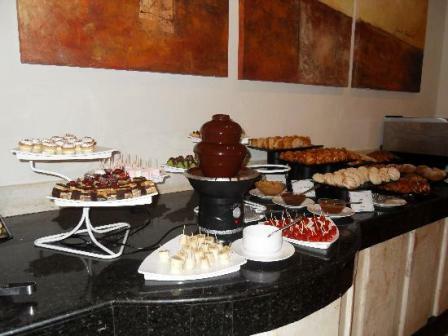 Lunch buffets will normally offer a huge variety for you to choose from. 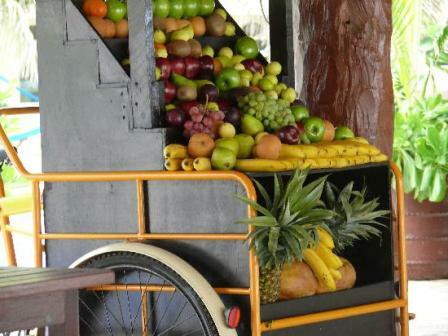 They will probably have a place where you can choose from fresh grilled meats, seafood and even lots of pasta options. They are great at providing some options for kids as well like chicken nuggets, mac n cheese and hotdogs. Lunch buffets will have a huge salad bar and normally more than you could ask for. If you choose to check out an a la carte restaurant for lunch, go for it! The hotel won't be as picky about what you where at lunchtime since they expect you to be in beach attire. Check with your particular hotel to see what lunch options are available. For your all inclusive dining at dinner you will have a la carte restaurants that will require some sort of dress attire and you may have to make reservations in order to get a seat. Check at the front desk upon your arrival to see if this is necessary. 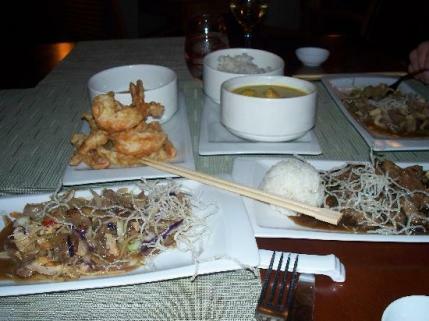 Dinner restaurant options at all inclusive resorts are great! They offer a wide variety of dining selections such as French, Italian, Mexican, American, Grill, Sushi, Japanese and Caribbean. Make sure you plan to go to all the restaurants you want to. One of the greatest things about an all inclusive is knowing that you can eat at all of these restaurants and not have to pay a dime extra (unless you tip). 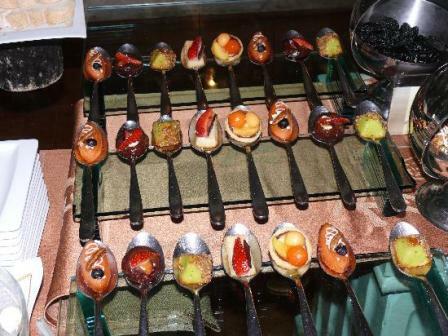 You truly can get a gourmet experience with this delish food!